"Takes a long while to complete Gradle builds in Android Studio"
I like that Gradle integrates all my Android 3rd party packages automatically while in my IDE Android Studio. I also like that Gradle handles all the command line statements needed without me having to know what to run in my Android command line. I didn't really like the fact that Gradle often took a long time to run its automated builds, such as when first opening an Android project. It often took upwards of 20-30 minutes to run each build and it became a significant annoyance when building and opening my Android projects. Beware of long build times. You can use Gradle if you can multitask easily using another instance of Android Studio or another workstation, but if you are stuck with one instance, your efficiency may be impacted. I am building a prototype Android app using Android Studio with Gradle integration. I've realized some benefits in using Gradle in the fact that it does all the command line stuff for me, but I think the benefits don't necessarily outweigh the drawbacks. "Compile and Build Microservices in seconds"
Use it, configure the projects and its one time effort after that you will find lots of time being saved and more focus on development and fixes. The time is saved. Though the repository indirectly is same as m2 of maven but still its an added advantage to save time. The repositories can be accessed via link and hence you can point to your on premise library center or the cloud. And here comes one more advantage : Gradle is a dependency programming tool which also means it's a programming tool. With Gradle you can execute any random task in your setup and Gradle. All declared dependencies are properly and timely executed and the code can spread across many directories. Even you can add tasks to be executed and have testing suites be added in the system. So all configurations are handled at one place and gradle does that. Unlike Ant and Maven is very easy to learn as well. Creating microservices projects. Very fast build and compile time and all the files can easily be added from local on premise repository to maven repositories. The time saved helps more number of testing cycles and fixing bugs. "Best build tool for Java and other JVM based languages"
There is nothing to dislike except the speed of build. Sometimes it takes a lot of time to download the dependencies and if network connection ids interrupted, it stays in that state for a very long time. There must be some mechanism to determine loss of connectivity. Just go for it. Gradle is definitely suited for beginners and advanced developers alike. Easily Modularize your apps and understand your dependencies better. Gradle is used in my every single Java and Android project that i have created. It has helped me organize my dependencies in one place in an easy to read build.gradle file. I have modularized my apps with the help of gradle. "Gradle is the next generation build system for JVM applications"
Unlike similar build tools in JVM ecosystem, Gradle does use XML but rather a flexible DSL based on the Groovy programming language. This leads to a short and clean build configuration files. In addition, Gradle is the de facto build tool for Android which means it has a wide adoption. Also, Gradle DSL is designed to solve divers problems that face developers as part of the software life cycle like: compilation, testing, static analysis, packaging and deployment. Thus, it integrates easily with continuous delivery workflows. Furthermore, Gradle support a parallel execution mode which may speed up it's tasks. Gradle learning curve is more demanding than other build tools, and there it needs some special preparation to start using it. For most Java projects, Maven works just fine so some people will not bother switching to another build tool with a completely different approach. Gradle is flexible, it allows to script anything but this means for large teams it will be harder to maintain a standard workflow (test, build, delivery). If you're building Android applications, Gradle is a must to have as it is the defacto build system. I was first introduced to Gradle, few years ago, as part of the Android software development when Gradle become the officially supported build system. Before Grandle, building Android applications was painful as it was mostly manual or the through the IDE. Though there was a maven plugin but was a community project and not a long term supported. After Grandle become the build system for Android the gain in productivity was huge, testing and packaging applications become a very easy task. This product is the best i have encountered till now. Gradle integrates with everything that I use. One of the best things about it that it is tightly integrated with the command line. It provides easy access to run or debug one or more task from console and also streamlines the output also. Gradle automatically detects changes in Gradle files and updates the project structure accordingly. The dependency analyser is also a plus one for it as lists resolved dependencies, shows conflicts and allows dependencies to be upgrade when newer versions are available. Apart from all the features it provides, it really gets slow when you try to build large projects. I don't know about the new version but the performance speed could be improved. I heard that it is improved in the recent version. One more issue I faced with Gradle is lack of native support for reusing ivy.xml (and ivysettings.xml), despite the fact that Gradle actually uses Ivy as its dependency engine. Go head for it. If your requirement is build automation, then gradle is a very good solution to your problem probably the best. I am using gradle for build automation. This way, it helps in increment builds of my software. There are different alternates but I found gradle much more stable and more popular for build automation. With few tweaks , it is the product that you need. "Gradle: The parts of Ant you want, the parts of Maven you need"
Gradle is the most powerful build tool ever. On top of being powerful it is easy to make Gradle do what you want. It is easy to understand by novices and they usually can't believe how simple it is. The hallmark of a good model is that you are not surprised when you see the model in action. Gradle is the same way, Modelling a build is very intuitive. Gradle is moving faster than what most IDE projects can. There is a current gap in Eclipse because the original Gradle plugin is not being actively developed anymore and Eclipse Buildship is still behind and not supporting Eclipse WTP. Convertign to Gradle is quicker than what most people even think is possible. Even if you have an old legacy project. One of the projects I contributed to has over 400 modules in a huge codebase. Their full build was about an hour and the average build after checkins was about 20min. We now have a full build that is about 10min quicker and an average build of 2 minutes. The team gets quicker feedback and they are working towards full test coverage with unit testing. Another improvement is a reduction in the amount of time a developer takes to get a local development environment up and running. "Eases the setup of a Java project, powerful, problems can be difficult to fix"
Makes building Java projects very easy, and relative to other tools, such as Ant, Gradle is much easier to read. It is also typically easy to get Gradle to agree with what you are trying to do, but can on occasion be fussy. Having migrated from using plain old Ant files, using Gradle has made working with Java projects much easier than it was before. Adding thirdparty libraries, for instance, is much easier to do and understand. While Gradle is powerful and flexible, when there are issues they can be difficult to understand at first, and on more than one occasion I found it easier to just blow away a project and rebuild it again in a different directory, as it is typically easier to start fresh and not make mistakes than to fix made errors. Gradle is used as our Java build tool, first when we were using Eclipse, and then after when we switched to Android Studio. Gradle makes it easy to build projects for either of these environments. In addition the use of Gradle makes it possible to create build scripts for testing environments. "Easy to learn build system "
What I disliked was that whenever I had to troubleshoot build errors, the output from gradle was meaningless or ambiguous at best, it was rarely useful. We switched from ant to gradle, and it was definitely a huge improvement over ant, as we could actually read the gradle builds, as opposed to the ant files, which are huge spaghetti messes. "Love gradle, use it for all of my java and groovy projects"
I like the ability to develop custom gradle tasks and the automatic integration with tools like intellij IDE. The gradle daemon was a nice addition too for speeding up build tasks. I also like the plugin feature where I can add specific features as needed. Try it out on a small project first, and see if it works for you. Building company java projects and deploying production applications in a dependable way. "Best tool for building Java projects"
Its the de-facto build system for Android. We use it everyday and its very useful since it can be installed on machine without Android studio and still compile apps. There are a lot of plugins available which is the real stregth and it integrates with Maven too which makes it a better choice than Maven. It can get slow for large builds. As the size of the Android app grows, it tends to become slow. The main reason is that it uses Groovy instead of XML which makes it slow but leads to short scripts which is helpful. We use Gradle as de-facto build tool for our Android app which is quite large. It integrates seamlessly with Eclipse and Android Studio. It integrates well with Jenkins and therefore, we use it for continous delivery which is the main benefit. "Incredibly powerful build system, definitely a major improvement over Ant and Maven"
Gradle positions itself as a build tool somewhere between Ant (very explicit, simple, customizable, but difficult to optimize) and Maven (convention over configuration, not very customizable, but with neat optimization features like incremental and parallel builds). Gradle provides all the power of Maven including integration with both Maven and Ivy repositories. It also allows integration with Ant (i.e. calling tasks from your Gradle build). It has a DSL that allows you to create your build *only* with configuration, but lets you customize it using Groovy where you need. This makes it a lot easier than Maven, which requires that you write a plugin (very few people ended up doing this in practise) or embed Ant scripts in your configuration. There has been a lot of great work for improving performance, and the out-of-the-box plugin ecosystem is fantastic (lots of support for test tools, native compiler toolchains, Android, basically all the shiny new toys). If you're transitioning from Ant, there's a bit of a learning curve involved with writing your build scripts if you want best performance (you want to be declarative, not imperative, thus allowing the Gradle runtime to figure out possibly-more-optimal ways to do things). You can still write things imperatively if you really want - Gradle gives you some rope to hang yourself with - but you really shouldn't (hence the unfortunate learning curve). The incubating features like parallel/multithreaded builds and configure-on-demand are pretty useful for larger projects, and if you structure things correctly, your project will build very fast (if not, you can run the profile tool to figure out the slow steps). One difficulty is transitioning some legacy projects to Gradle if there's been a lot of customization. It can be difficult to completely rewrite the builds for large monolithic builds, so it would be helpful to have a strategy for partially converting builds (i.e. invoke a Maven build from Gradle). It may already be possible to do this, I haven't looked too deeply. But in general it's a good strategy to transition parts of the build piece-by-piece. Another challenge is the exception messages and errors can be hard to understand - though this should be improving with the new Managed Model system, which gives Gradle more insight into your build. Give it a try, but persevere with it and make sure you read through all the documentation. The user guide is okay, the forums are insightful, and the API docs are a great reference. The user guide is a good start but is unfortunately (probably due to the fast-moving nature of Gradle) incomplete. You will need to be comfortable on the bleeding edge if you adopt at this time, but it's very exciting! Also be sure to take advantage of the Gradle Wrapper feature. It ensures that you can use the latest and greatest features without having requiring your whole team to manually update. "more easy to start a new project"
become more easily to solve the jar dependency ,build project ,package. It also provide many detail docs on how to take use of it for many languages. Almost don't worry about the build process and it become more easy for this. It also provide very detail examples for every process/languages. When start-up a new project, it's better to try this. And it will take less time on set up a new project. don't worry about the build process. It become more easy for a new project, especially for Start up project/company. "Robust and flexible, but can be a nightmare"
Build speed, configuration on demand, incremental builds, dependency resolution, clean syntax. Infrastructure is not mature enough, sometimes things do not work the way they were designed and you have to spend time researching the problem and searching for a certain combination of plugins and dependencies that actually works. Highly customizeable, but some features/plugins may not work properly. We build a native Android app and we were initially using Maven plugin to build the project. With Maven we have faced some limitations and were forced to migrate to Gradle. Since then we use Configuration on demand and Incremental build features of Gradle and it saves so much time! "Gradle is the best build automation tool available. Learn, contribute and grow with it." I like writing script in Gradle for build automation over xml in maven. It provides great readability. And because it is scripting based tool, I can write custom tasks which was not so easy with Maven. 1. Availabiity of sufficient documentation and examples I think providing examples for Gradle would be a great help. 2. Adding plugins popular in Maven world. When a maven user migrates to Gradle, unavailability of plugins is the biggest turn off. Gradle is the best build automation tool available. Contribute to gradle and grow with it. Using gradle, we have been able to create a build automation framework scripts tailored to projects in my organizations. This saves a lot of time while building new projects to get to the CI-CD automation stage. 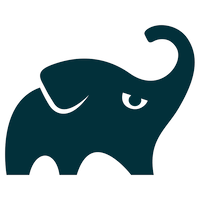 "Gradle: build tool for tomorrow"
If you can - start using Gradle in new projects now. Sure, you'll face problems: uploading to maven repos, versioning, releasing, maybe lack of plugins you are familiar with when using Maven. But starting new Project with Gradle is simpler than moving existing build because you can solve problems incrementally, not all of them at once. I'm building small- and mid- sized enterprise apps with Gradle. My stack includes: OSGi and Spring (plain old MVC and new Boot) apps. I've used Maven prior Gradle. Moving to Gradle allowed me to create more expressive and clear build files, drastically reduced build file sizes and reduced build time. "Build automation for several projects"
I like Gradle for being an Open Source project that makes it really easy to manage native builds, unlike other tools like Ant and Maven, which are designed to work only with Java projects. Gradle is very flexible. Also Gradle's code is much more readable that other solution's. At first it took me some time to get used to Gradle, but I wouldn't say it has a steep learning curve. Gradle can be used with many different project types. I have used Gradle to automate the build for several projects. One of the best available build tools for Android development. You can write custom tasks required in your build. Easy to configure build according to specific business requirement. Takes a bit long time to build and memory hungry. "Nice tool for Android development"
it's a declarative domain specific language, which makes it really nice to write in. I didn't have experience writing in the Groovy style, and felt like I went a long time before properly learning it. It's easy to use Gradle without knowing the language very well, but I would have rather had to a way to quickly learn the language before experimenting. Learn it properly first...actually read the documentation. It will be worth it in the long-term! I was using it to build Android source code. Declarative nature of it was really nice for this. a) easy to understand and easy to include dependencies. I really could not find any cons of using gradle. I use gradle to build jars for java microservices. Writing task is so easy . This replaced maven. "Slow, bulky, and the only major alternative for Android development"
Google is doing most of the Android build development in Gradle. ant is no more. maven is no more. At least one project has Google's backing. Slow and bulky. Even something as simple as "gradle clean" can take a minute. In an atypical Java fashion, its over-architected. Its DSL is unintuitive for Java developers. It's definitely slow. Once you get used to that, everything else is fine. "The Best Build Tool for Android"
The long build time it takes when in online mode. "Positive experience with Gradle used for shipping Android Apps"
Automation and integration of DevOPs toolchain. The build programming language is flexible and incisive. Short build times and uniform build scripts. Easy release process. Issues with Gradle and IDE integration with multiple modules. They are not present in multi-module mode. Highly recommended for users developing android projects ( single build tool for multiple languages ). Build Automation, continuous delivery, dependency resolution in applications. "Gradle is quite good serves source build needs"
"Gradle Review - Thomas Orth"
It's great in most Scenarios! Maven is better for its standard life cycle, Grade take it all. normally android project and java build. The Gradle is simple and easy to use! Great tool. The gradle could use a lib declarations more likely with Ruby/Bundler Gemfile. One line to declaration! * We monitor all Gradle reviews to prevent fraudulent reviews and keep review quality high. We do not post reviews by company employees or direct competitors. Validated reviews require the user to submit a screenshot of the product containing their user ID, in order to verify a user is an actual user of the product. Hi there! Are you looking to implement a solution like Gradle?